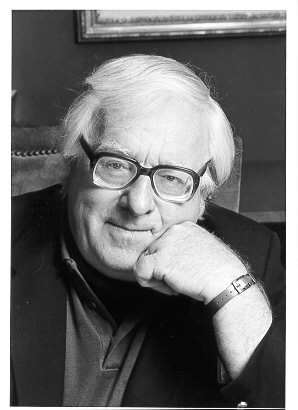 Ray Bradbury, on of my absolute favorite authors, has passed away at an age of 91. I must admit, it has been a few years since I actually read any of his works. I think I’ll have to change that. One of my strongest reading experiences probably came when I read Bradbury’s The Martian Chronicles (1950). It was a sad and thoughtful tale, telling a story of life and death through technology and the clash of civilizations. Another superb book is The Illustrated Man (1951). It is a collection of short-stories so fantastic and well written that they plunge deep inside of you. And! Let us not forget Fahrenheit 451 (1953). This dystopian vision is perhaps one of the greatest in the genre. It proves the strength of literature, art and the written word. Or, to put it simply, it proves to us the strength of imagination and a free mind. Read and write and whoever tries to oppress you will also fear you. To me, Bradbury was (or really is, because his works are still here) a master of the written word; few possess his skill in the art of writing. He was undoubtedly a master craftsman. However, the great potency of his works comes not only from this skill but also from his ability to combine this skill with his very own way of expressing himself. He had his very own way of telling stories, he had his very own language. And what a language it was. Thank you, Ray Bradbury. And may the martians greet you with open arms, as I am quite sure they will.